Thunderstorms are localised weather events caused by heat, moisture in air, unstable atmosphere and a trigger. Always accompanied by thunder and lightning, usually with strong wind and heavy rain. Average area over which a thunderstorm occurs 10-20 sq. km. During the summer months in north India, an occasional thunderstorm and rainfall may provide some respite from the intense heat. However, on the intervening night of May 2-3, 2018, a ferocious thunderstorm left a trail of death and destruction over large parts of this region. It claimed 150 lives and injured 365 persons. Uttar Pradesh and Rajasthan were the most affected with maximum damage reported from Agra. In its bulletin on April 30, 2018, India Meteorological Department (IMD) predicted severe thunderstorm activity in the next three-four days. Short-range forecast, which provides weather outlook for the next three days, predicts a probability of thunderstorms over a wide area. As it can hint at the intensity but can’t predict exact time and location, the bulletin did not point to Uttar Pradesh and Rajasthan. “Thunderstorms cannot be predicted well in advance as they are very localised weather events and have an average lifecycle of about half to three hours,” said Dr. M. Mohapatra. Specific district-level warnings were issued once the time and location of the thunderstorm was accurately predicted in nowcasting, which gives updates for weather conditions likely to develop in the next three hours using radars, he added. Despite the prediction and the warning, the thunderstorm turned lethal. Did we leave a gap? "The intensity of the thunderstorms on May 2, 2018, was unusually high. As the storm struck during the night; people were asleep when kuccha houses and tin sheds collapsed leading to deaths and injuries," said Ms.Ajana, Review Office, Uttar Pradesh. Meanwhile, the IMD, in its forecast on May 3, 2018, predicted more thunderstorms accompanied with squall in various regions in the days to come. There was no time to lose. The National Disaster Management Authority (NDMA) called a meeting of all stakeholders on May 4, 2018, to review the situation, enhance preparedness and ensure timely dissemination of early warnings. It was decided that IMD would share localised and specific warnings with the States, which would then be widely disseminated using various modes of communication such as SMSes, radio, Television and social media. The wide communication network of Doordarshan and All India Radio (AIR) would broadcast the warning messages within 15 minutes along with advisories to help people brace for the freak weather event. NDMA also circulated simple Do's and Don'ts to follow before, during and after a thunderstorm/dust storms to the States. These were further converted into local languages and widely circulated among the public for greater awareness. 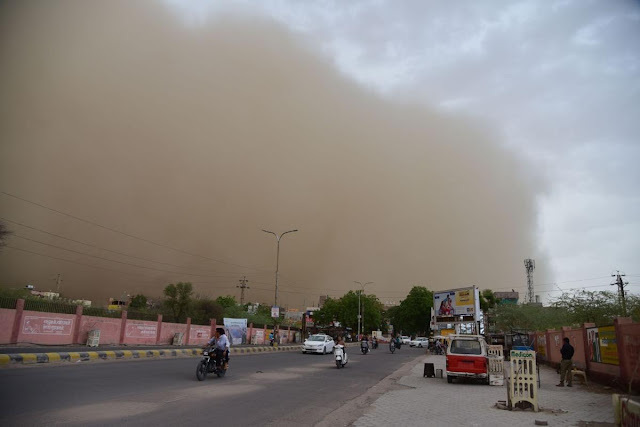 These efforts paid well when a dust storm hit the National Capital on May 7 and another bout of severe thunderstorms in various States on May 13, 2018. The IMD predicted the events right, the State Government acted on the warnings and people themselves took measures to ensure their safety. Despite the severity of the incident on May 13, 2018, the number of deaths and injuries were reduced by almost half. 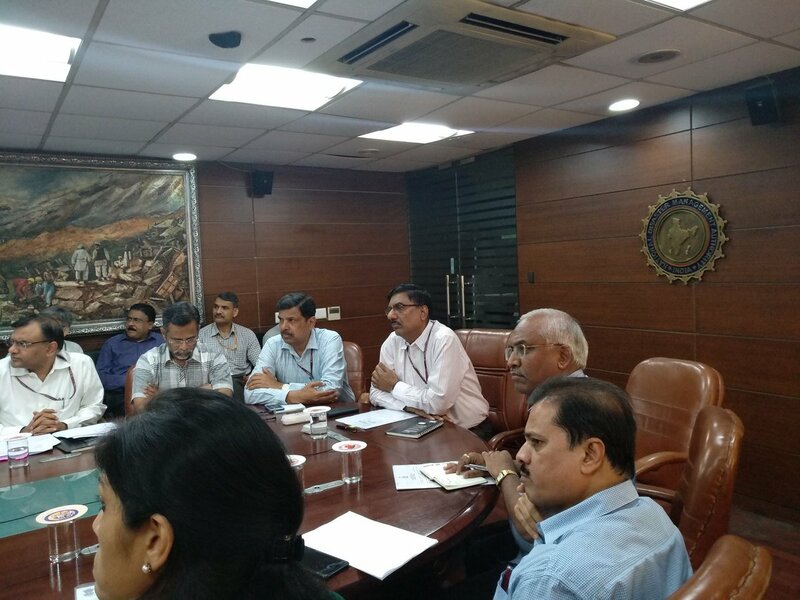 NDMA again reviewed early warning and preparedness measures in two meetings on May 11 and May 14, 2018. Collaborative efforts by NDMA, IMD, State Governments, Doordarshan, All India Radio (AIR) and other stakeholders have improved our preparedness, warning and response mechanisms to thunderstorms and dust storms.